It takes a team of dedicated individuals to work together to ensure the sustainability of our forests and biodiversity-that is our commitment to the next generation and to all living things. 1998 Ph.D. in Tropical Biology from the University of Miami; 1989 M.Sc. in Zoology from the University of Florida; 2008 Master of Accounting courses from Chatham University; 1986 B.Sc. in Zoology from the University of Florida. Debra is a tropical biologist with experience trapping and radio-tracking opossums, mist-netting birds and bats, documenting plant fruiting, flowering and diversity, recording cassowary diet and altitudinal migration, and conducting biodiversity surveys with a focus on mammals and plants. Early in her career she worked in Venezuela and Costa Rica, but has focused on PNG since 1987, spending most of her time there through 2007. She co-founded and built the Crater Mountain Biological Research Station in 1989, has mentored PNG Honours students since 1994 and has run PNG biological techniques courses since 1996. She co-founded and ran the Wildlife Conservation Society's PNG program from 1999 through 2007 and has raised over US$7 million in grant funds for work in PNG. She has authored many scientific publications. She is dedicated to fostering PNG's biological community and capacity building for PNG biologists so that conservation can come from within the country in ways that will work culturally. Debra is a co-founder of GC and of PNGIBR. 1995 Ph.D. in Tropical Biology from the University of Miami; 1985 B.Sc. in Biology from the University of Delaware. Andrew has been involved in rainforest research and conservation since 1974 when he made an expedition to the summit of El Triunfo in Mexico. Since then he has worked in Mexico, Costa Rica, Ecuador, Guyana, Peru, Bolivia, Malaysia and Indonesia. His recent focus has been on Papua New Guinea where he spent most of his time from 1987 through 2007. He currently holds one of the few endowed conservation biologist positions in the United States, the William and Ingrid Rea Conservation Biologist at the Carnegie Museum of Natural History which is funded by the Heinz Endowments. 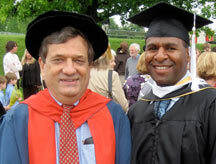 He has been a Fulbright Scholar to PNG, a Visiting Fellow at Australian National University, and is a Research Associate at the University of Kansas. He has held senior positions at Conservation International and the Wildlife Conservation Society and was Collections Manager for Birds at the Academy of Natural Sciences. He was a co-founder of the Crater Mountain Biological Research Station in PNG. His research in PNG over twenty years has examined seed dispersal by cassowaries, seedling ecology, biogeography & phylogeography, ornithology, bioacoustics, hunting & wildlife consumption, and a wide range of topics with collaborators from eight countries. He has a species of frog and a canopy tree, both from New Guinea, named in his honor. He has over fifty scientific publications. He is most proud of the many UPNG students he helped to mentor through Biology Honors Degrees. Most of these have continued on to Masters Degrees at top universities and are now conservation professionals in Papua New Guinea. Andrew is a co-founder of GC and of PNGIBR. 1978 Ph.D. in freshwater biology from the University of East Anglia; 1974 M.Sc. in Tropical Resource Ecology from the University of Zimbabwe; 1972 B.Sc. (Honours) in Botany and Zoology from the University of London. 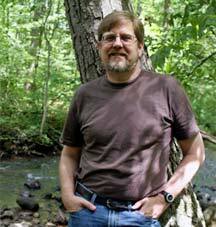 Patrick is the Executive Director of the Whitney R. Harris World Ecology Center at the University of Missouri-St. Louis. He has 35 years experience in tropical ecology research, education and environmental consultancy in Zimbabwe, Malawi, Papua New Guinea, Australia, Kenya and the Philippines. He taught ecology and botany at the University of Papua New Guinea for 10 years and was Head of the Biology Department there for three years. He has also taught ecology in Zimbabwe, Malawi and Australia and was Deputy Director of the Water Research Center at the University of Western Sydney in Australia. His research has focused on phytoplankton ecology and paleolimnology of tropical wetlands and lakes as a means to elucidating ecosystem function and change. He has published over 40 papers and co-authored Freshwater Plants of Papua New Guinea (University of Papua New Guinea Press) and is working on the second edition of his student text book: Tropical Ecosystems and Ecological Concepts (Cambridge University Press). He currently teaches courses in conservation biology, tropical biology and conservation, and ecology. The Harris Center supports graduate students in the Department of Biology's Ecology, Evolution and Systematics program and recruits students from all over the world including (so far) five from Papua New Guinea. Patrick is a co-founder of GC.